Medical schools are constantly improving their programs to keep up with the changes in medical education in the United States and Canada. 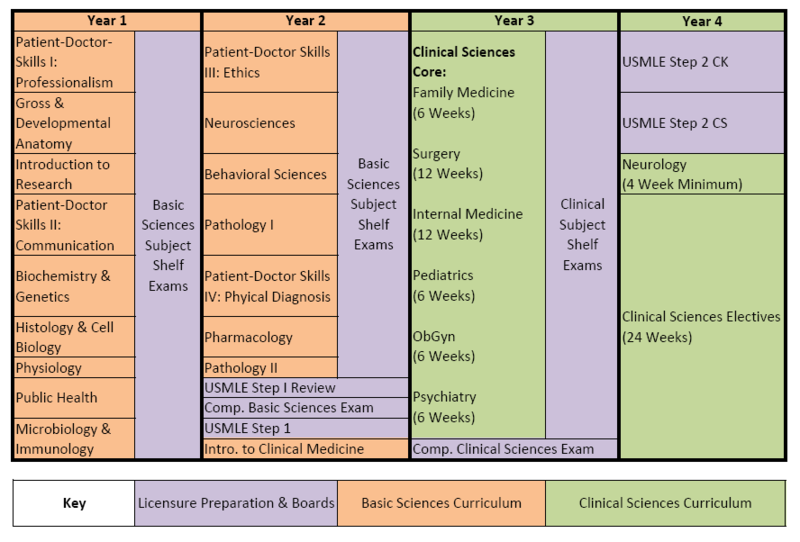 US national standards for medical school curriculum have begun to reflect the need for an integrative approach to basic sciences and the importance of early introduction of clinical cases. Our College is adapting and improving the medical program to reflect these aspects as well. The Basic Sciences program is currently offered in five to six semesters – the first four to five semesters at the Saint Lucia Campus and the last semester in the US. Basic Sciences students prepare team presentations of cases compiled by the faculty. They are required to identify relevant objectives of the case, and give short presentations based on the assigned objectives. Depth and difficulty will increase as the students progress through the Basic Sciences program. Students are also exposed to patient care through local primary care clinics from the first semester. They are trained to learn history taking, vital signs monitoring, and the diagnosis process through these clinics. Studies in the Clinical Sciences division encompasses the seventh through eleventh semesters. While rotating through various medical specialties in cooperating teaching hospitals, students are under the guidance of clinical faculty and under the general supervision of the Dean of Clinical Sciences. The University currently offers clinical rotations on our Clinical Campus in Baltimore, Maryland, USA. The University currently requires all core rotations (48 weeks) to be completed at affiliate teaching hospitals, while students are free to schedule elective rotations on their own, provided such rotations have prior approval from the Office of Clinical Affairs. Students may appear for USMLE Step 2 CK and CS soon after completing the 48 week core requirement.